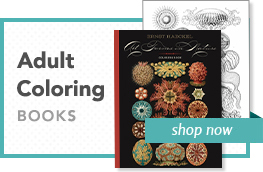 This item is published with the Museum of Fine Arts, Boston by PomegranateKids®, an imprint of Pomegranate Communications, and is CPSIA compliant. Sharpen your recall with this two or more player game. 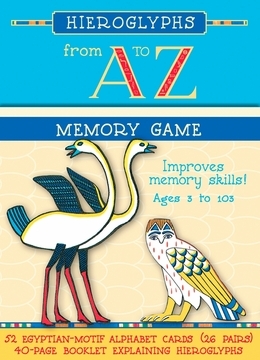 Based on the best-selling book Hieroglyphs from A to Z, by Peter Der Manuelian (Pomegranate, 2009), this memory game offers a fun way for youngsters to learn the alphabet. Each card features an English letter (“L is for Lion”) and an Egyptian hieroglyph for that letter’s sound—just match pairs to win! 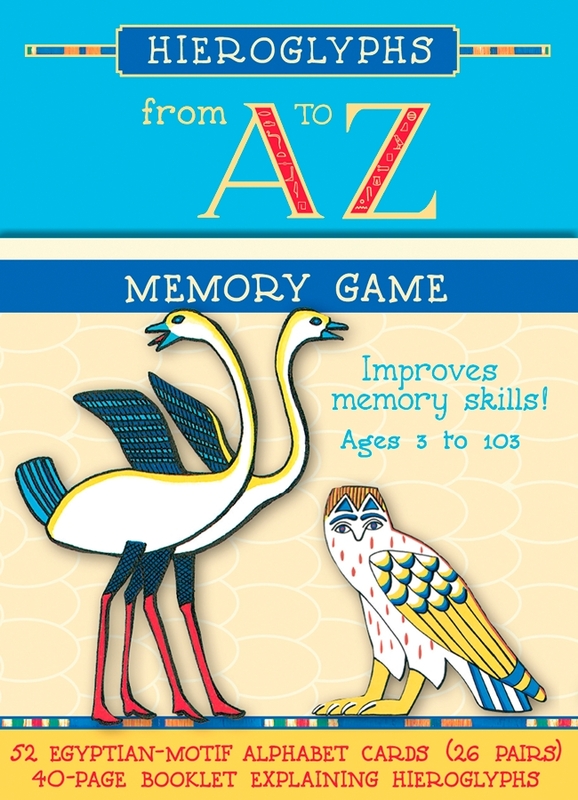 Instructions for play are printed on the bottom of the sturdy, reusable box, which neatly stores cards between games and includes a 40-page information booklet, which explains each card and the Egyptian hierogylph on it.